Two years ago I participated in a really fun Halloween nail art challenge. 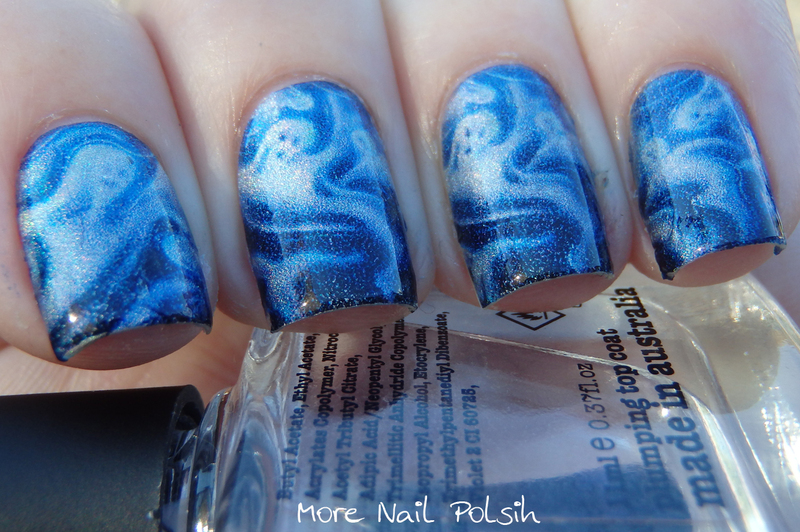 Back then I hadn't yet attempted the 31 Day challenge the month prior, so I was chomping at the bit to do some nail art, and having a theme to work to every couple of days was so fun. I really must try do a Halloween nail art challenge again next year. 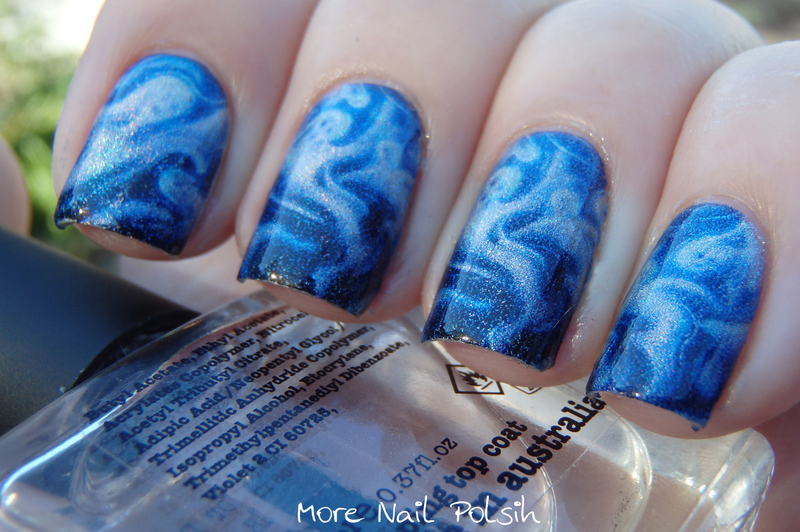 One of the nail designs I did back in 2012 was some ghostly temporary tattoos over a holographic polish. I really loved the look, but my application left little to be desired, my nails were wonky from a few breaks and the tips looked really worn. This left me wanting to do the design again, and do a much better job at it. I'm pleased to say that I achieved that! 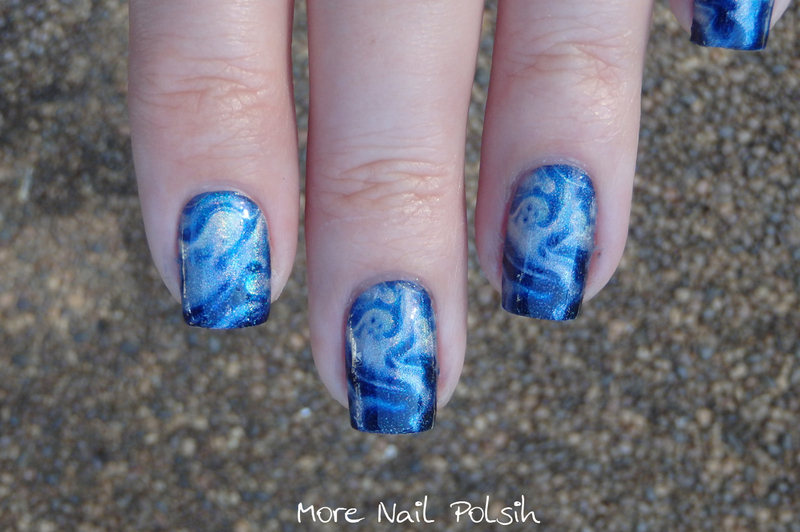 Here is my 2014 version of the Ghostly temporary tattoo nail design. 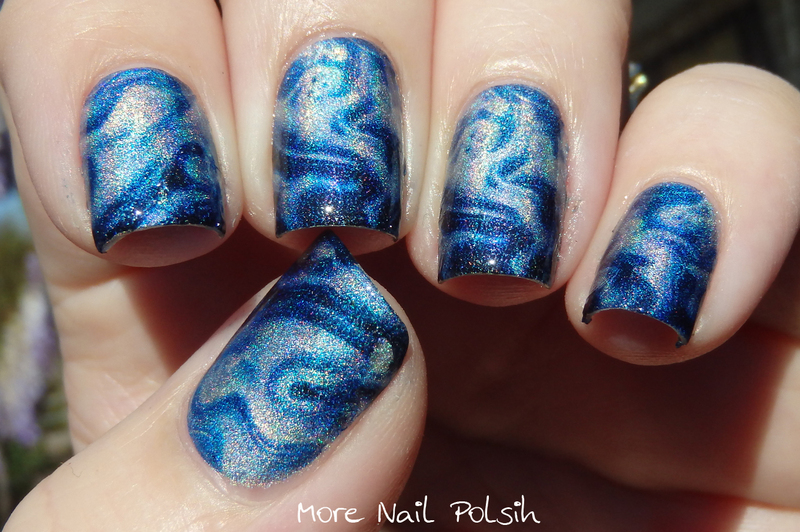 I love how to most people these just look like an abstract swirly design, almost a watermarble. It's only when you take a closer look that you see the different ghostly shapes across my nails. If you scroll down below you will find a full length video of how I created this look using the temporary tattoo paper. Sooo pretty and you make it look easy! Must try this �� thanks for sharing! These look freaking amazing! I love how the ghosts look translucent!